Der Artikel Florent Schmitt (1870-1958): Psaume 47 op.38 wurde in den Warenkorb gelegt. 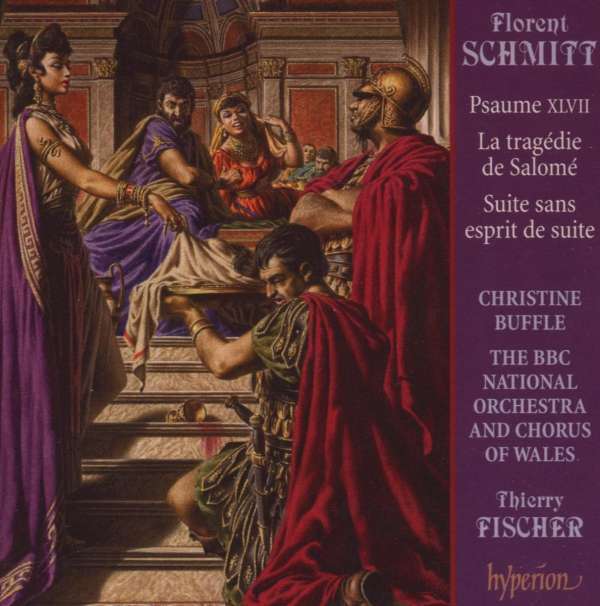 One of the great exponents of the extroverted, Dionysiac strain in French music, Florent Schmitt’s influences included such riches as the music of Muslim countries, the symphonic poems of Richard Strauss, and the Russian nationalist composers. Added to his ear for pungent dissonances and assured technique of orchestration, the result is hugely opulent and extravagant music of fertile and thrilling invention. La tragedié de Salomé is Schmitt’s most famous work, staged by Diaghilev and other choreographers and greatly admired by Stravinsky. An air of sensuality and oriental violence is captured by the composer’s entirely original harmonic writing and unusual rhythmic formations which he groups into pulverizing cumulative ostinati. 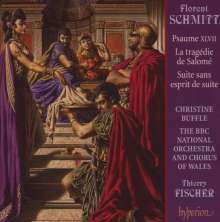 Psaume XLVII is a defiantly unecclesiastical treatment of a sacred text, interpreted by Schmitt as a paean of savage triumph sung by an oriental race. 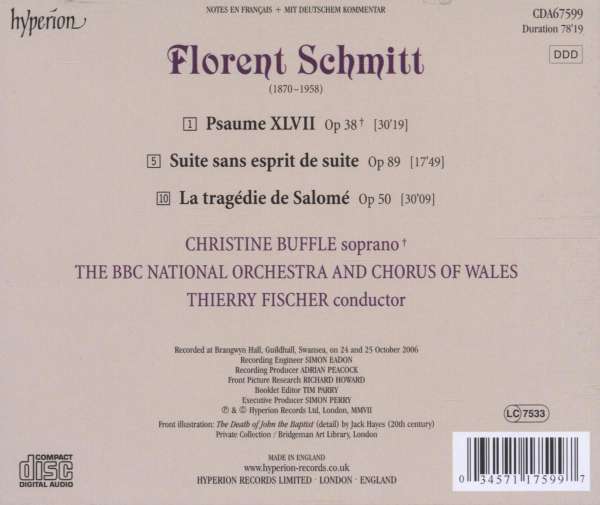 It is a piece of grand rhetoric and almost barbaric élan, recorded here by the Anglo-Swiss soprano Christine Buffle and The BBC National Orchestra and Chorus of Wales under Thierry Fischer. FonoForum 11 / 07: "Was immer man mit französischer Musik assoziieren mag - impressionistische Klangfarben, exquisiter Detailismus -, Schmitt entspricht solchen Erwartungen kaum; seine Musik ist monumental, greift aus ins Dionysische oder gar Barbarische. Die Psalm-Vertonung ist eher ein heidnisches Triumphlied, eine Musik des Überredens, und das mit den besten künstlerischen Argumenten. Orchester und Chor unter Thierry Fischers Leitung spielen und singen mit kompromisslosem Engagement."